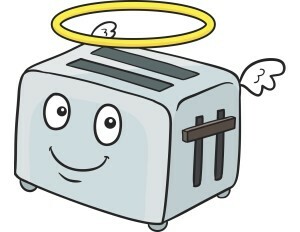 Over the past year we’ve introduced our readers to all the “angels” in our kitchen: those appliances, gadgets and food items which continue to teach us lessons about life, love and relationships. We wrote, among other things, about how our toaster can “talk”; the call o f the Keurig; and how Fridgey (our refrigerater) enjoys the nightlife. These articles have been collected as a softcover book published by Ravens’ Reads. 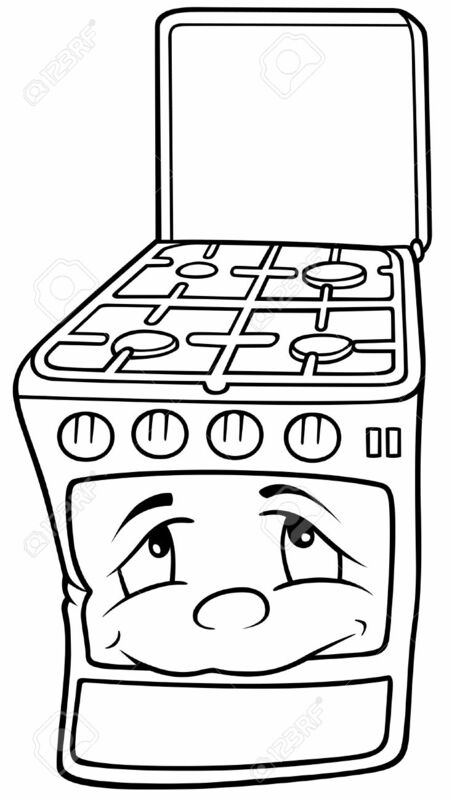 Now we’d like to share a little more about Sparky, our gas range! (Yes, we can be silly at times! What’s your excuse?) Sparky is faithful; even in the midst of a prolonged power outage, our trustworthy kitchen friend didn’t let us down! Please read on. One fateful Christmas Eve, over a decade ago, Virginia and several surrounding states endured a massive ice storm. The day before, we had prepared a variety of tempting treats to enjoy throughout the holidays, including stuffed mushrooms. All our goodies were crammed into Fridgey, awaiting a bit of rewarming on Christmas day. But on the morning of the 24th, we awoke to the gunshot-loud crackings of tree limbs breaking under the weight of a thick coating of ice. And because we live in the woods of New Kent, barely 30 feet from dense stands of trees in every direction, we weren’t in the least suprised to learn the power was out — a frequent pitfall of having powerlines near trees. Turned out that power outage affected thousands of homes spread across several states — and in more isolated areas (that would be us) the outage lasted weeks!! But we managed. We transferred our gourmet goodies to a big cooler, and on Christmas night, huddled about the fireplace, sitting in a room illuminated by hurricane lamps, we enjoyed a hot meal that included stuffed mushrooms! How did we heat them? Well, Sparky is fueled by a huge propane tank behind our house. The local propane company keeps the tank topped off, so we’ve never run out of fuel. And the beauty of propane is that the pressure of the gas forces the fuel through the line and into our home, where it feeds our water-heater and Sparky. All we had to do was turn on the gas knob, light the flame with a match, and Sparky came to life. We gently warmed the stuffed mushrooms and other foods in a covered skillet, and enjoyed a gourmet meal in the midst of a semi-disaster! So, in a pinch, our faithful Sparky came through, because he’s powered by a dependable source of fuel — and the flow never stops! In life, those who believe in and follow Christ are also powered by a dependable, neverending source of fuel. It’s called God’s Holy Spirit. When He walked the earth, Jesus said, “…I will ask the Father, and he will give you another Helper, to be with you forever … the Spirit of truth, whom the world cannot receive….” (John 14:16-17 ESV) The word helper comes from a Greek term that conveys the ideas of “advising, encouraging, comforting and strengthening”: the basic survival gear needed to get through tough times. With the power of the Holy Spirit we can make it through all of life’s little disasters, whether they’re icestorms or job layoffs or broken relationships. But we need to be careful to maintain the flow of the Holy Spirit’s influence in our lives. There are certain things that can block the natural flow of this “fuel”; thoughts and actions that can crimp the gas-line, so to speak. Keep the supply lines open: read and think on God’s Word; talk to your Heavenly Father (praying about your fears, weaknesses and concerns, asking for His guidance, and always thanking Him for all He’s done for you); and stay connected to other believers. When you do, you’ll always have fresh supply of God’s power and influence flowing into your life. You’ll be able to weather any storm … and even dine on gourmet stuffed mushrooms while you’re waiting for it to pass!